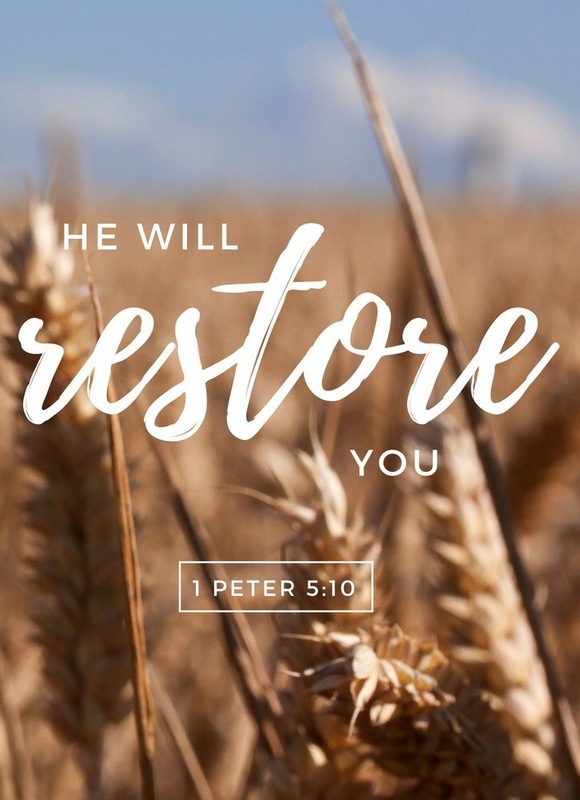 God, who shows you his kindness and who has called you through Christ Jesus to his eternal glory, will restore you, strengthen you, make you strong, and support you as you suffer for a little while. No matter what challenges or difficulties we face or go through here on earth they are temporary and are as Paul called them “light afflictions” compared to God’s eternal glory that awaits us. In the midst of the challenges we face here on earth keep looking to Jesus, taking the time to wait on the Lord drawing near to Him for those who do their strength is renewed. In the midst of challenging situations maintain a heart of gratitude by thanking God for what He has done through Christ to give you the victory in every situation. As you look to Jesus, not what is in the natural, and keep thanking God for all He has done, He will strengthen you and bring you through any challenge you face.